Michael Ruhlman’s groundbreaking New York Times bestseller takes us to the very “truth” of cooking: it is not about recipes but rather about basic ratios and fundamental techniques that makes all food come together, simply. inary ratio, it’s not like knowing a single recipe, it’s instantly knowing a thousand. Why spend time sorting through the millions of cookie recipes available in books, magazines, and on the Internet? Isn’t it easier just to remember 1-2-3? That’s the ratio of ingredients that always make a basic, delicious cookie dough: 1 part sugar, 2 parts fat, and 3 parts flour. From there, add anything you want—chocolate, lemon and orange zest, nuts, poppy seeds, cinnamon, cloves, nutmeg, almond extract, or peanut butter, to name a few favorite additions. Replace white sugar with brown for a darker, chewier cookie. Add baking powder and/or eggs for a lighter, airier texture. Ratios are the starting point from which a thousand variations begin. Ratios are the simple proportions of one ingredient to another. Biscuit dough is 3:1:2—or 3 parts flour, 1 part fat, and 2 parts liquid. This ratio is the beginning of many variations, and because the biscuit takes sweet and savory flavors with equal grace, you can top it with whipped cream and strawberries or sausage gravy. Vinaigrette is 3:1, or 3 parts oil to 1 part vinegar, and is one of the most useful sauces imaginable, giving everything from grilled meats and fish to steamed vegetables or lettuces intense flavor. Cooking with ratios will unchain you from recipes and set you free. 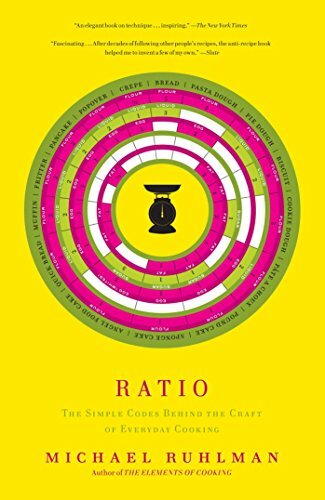 With thirty-three ratios and suggestions for enticing variations, Ratio is the truth of cooking: basic preparations that teach us how the fundamental ingredients of the kitchen—water, flour, butter and oils, milk and cream, and eggs—work. Change the ratio and bread dough becomes pasta dough, cakes become muffins become popovers become crepes. As the culinary world fills up with overly complicated recipes and never-ending ingredient lists, Michael Ruhlman blasts through the surplus of information and delivers this innovative, straightforward book that cuts to the core of cooking. Ratio provides one of the greatest kitchen lessons there is—and it makes the cooking easier and more satisfying than ever. y Muffins, Coconut Macaroons, Linzer Torte, and Jelly Doughnuts, may be familiar, while others, such as German Lemon Cake, Almond Meringues, Truffle Tarts, and Toffee Crunch Torte, are deliciously unique. 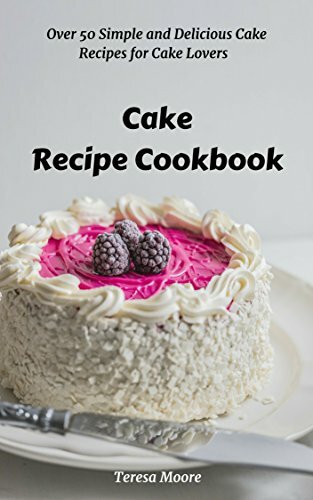 Gluten-free, egg-free, and sugar-free recipes ensure that this book is accessible to all dessert lovers. Beginners and experts will be reminded that baking is both easy and enjoyable when they read the practical advice and step-by-step instructions in each section. 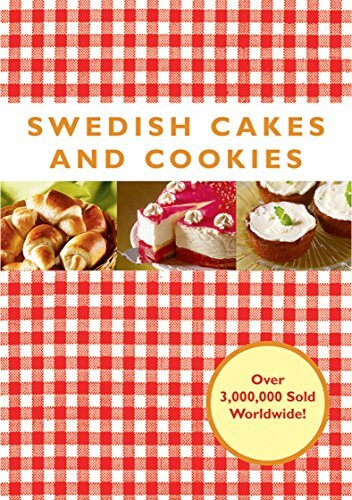 Swedish Cakes and Cookies is an essential resource for any home baker, and for anyone who loves to meet with friends for coffee and cake. into the delicious, healthy world of sourdough. Baking with sourdough isn’t difficult; the biggest challenge is patience! But take it easy, and your taste buds will be rewarded with a crispy crust and rich, full flavor. Of course, it doesn’t hurt to know a few tricks when mastering the art, and this book offers plenty. Learn to make a sourdough starter, and keep the leaven active with regular feeding. Try different flours and unique ingredients; did you know you can make delectable bread with apples and raisins, for example? The book contains recipes for classics like levain and Old English wheat-and-sourdough, unique twists like carrot bread and hazelnut, and sweet breads such as the German gugelhupf, among many others. But it’s not just the recipes that make the book a treat. It’s the creativity it cultivates. 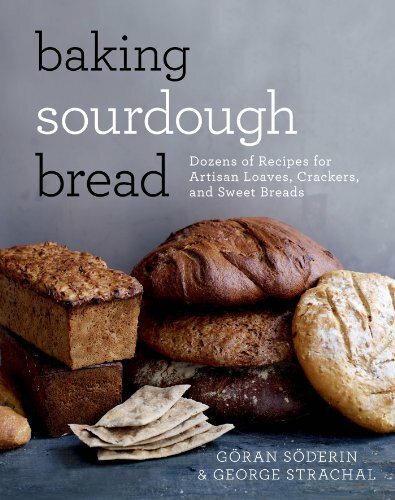 The book is a starter—and not just for sourdough. It's tough to buy a decent loaf of bread for under three dollars, let alone a book to help you make your own fresh daily! 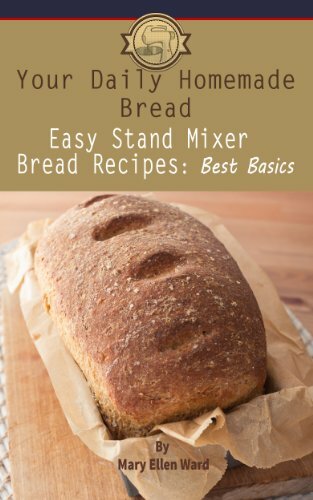 A complete discussion of the basic stand mixer bread method is included, along with a thorough discussion about the right yeast to use (there's a specific type that makes this method and these Kitchen Aid bread recipes work!). You'll also find a short talk on the subject of substitutions and sweetener flexibility to help adjust recipes to suit your dietary needs and preferences, including what is and is not possible. ...A complete collection delivering reliability, flexibility, flavor, and FRESHNESS to your table, leaving behind all the unnecessary and undesirable preservatives, chemicals, and conditioners that you'll find in commercial breads (including many that call themselves "homemade"!). "Thank you for this recipe!! My family loves the taste and texture, and a much easier and quick process than many I have tried. The success rate has been 100% for me, compared to the 50% with other methods. I live in Michigan, and the winter months are cold and dry, which hinders the rising process. For some reason, your method has been fail proof! My husband enjoys whole wheat, so I found a recipe, which failed to rise. But when I used this method, it came out beautiful!!" - Jennifer L.
Bake it Better: Classic Cakes includes everything you need to know about baking delicious and beautiful cakes. epertoire, with The Great British Bake Off you can be sure you're getting scrumptious, tried-and-tested recipes. The recipes themselves include traditional classics and modern bakes, and progress from simple through to more challenging showstoppers - Bake it Better will take you a journey from first timer to star baker. With expert advice about ingredients, equipment and techniques, and easy-to-follow step-by-step photographs. The Great British Bake Off: Bake It Better are the 'go to' cookery books which give you all the recipes and baking know-how in one easy-to-navigate series. Bake like you're in the tent - from the comfort of your own home. l baking book of recipes from the Great British Bake Off team is appropriate for any level of expertise. 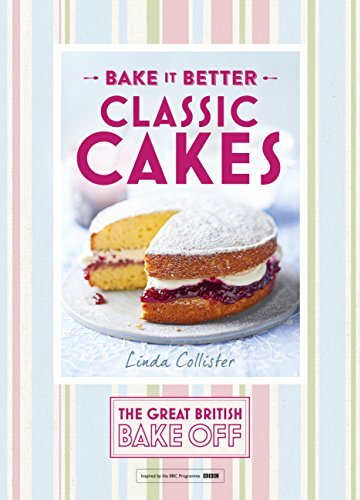 Each chapter includes favourite classics with a twist, recipes with simple ingredients to create something adventurous, and showstoppers that will guarantee you're crowned Star Baker in your own home. 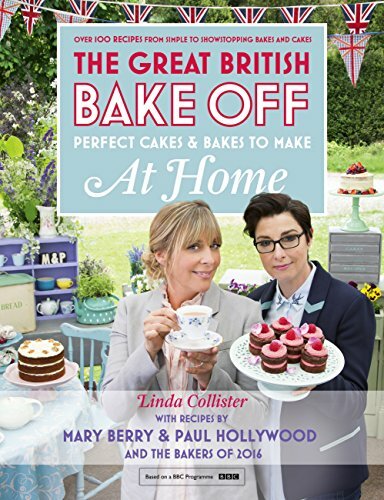 This cookbook is the perfect excuse to start baking like The Great British Bake Off - at home. ecipes that are going to fill your home with a wonderful smell of newly baked bread that the whole family will love. 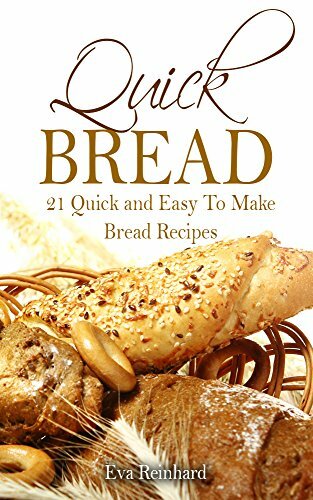 Spiced Pumpkin Chocolate Chip Loaf, Goat Cheese, Bacon and Olive Quick Bread and Pumpkin-Honey-Beer Bread are just to name a few of the delicious bread recipes in this book that are easy and quick to make. as a BONUS - Completely FREE! How a bean is grown determines its flavor potential, but it’s the roasting that brings those flavors out and creates the rich, complex flavors in the coffee that we drink. flavors from a bean, and is just as important to the cup’s ultimate profile as the growing and processing. 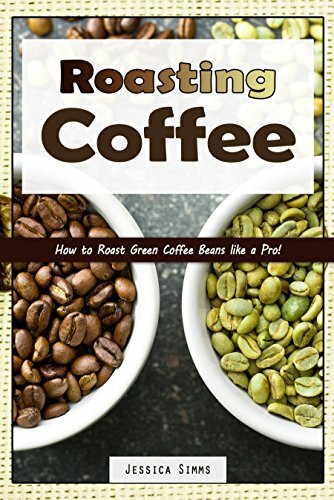 This book will explore how coffee beans are roasted, both in large-scale operations and by home enthusiasts. Part One of the Ketogenic Vegan Series. your kitchen with 100% low-carb vegan recipes. Do you want to get rid of high blood pressure and lower your cholesterol levels and seizure threshold while losing weight? Are you interested in gaining quality muscle with a high-fat, low-carb vegan diet? Then this book is perfect for you! Your body and mind perform their best with quality nutrition. Fuel your biological engine with LCHF plant-based nutrients in order to live a life full of energy, brainpower, and longevity. Achieve your weight-loss goals quickly with tasty, low carb-high fat recipes while remaining true to your vegan principles. Learn about the state of ketosis, veganism, essential nutrition, and how to cook delicious keto vegan foods including their macro counts. 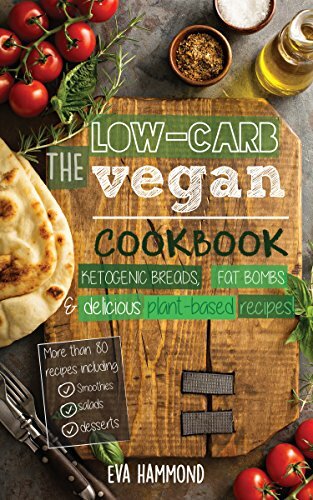 The Low Carb Vegan Cookbook covers all that you need to know about the diet, such as macros, essential amino acids like lysine, B12 vitamins, and much more. All of the information and recipes in this cookbook are supported by research. Additionally, the book covers nutritional guidelines for epilepsy patients that want to make sure their carb intake is at an absolute minimum. Start burning body fat by burning plant-based fats and reclaim your energy! Enrolled in Kindle MatchBook: Buy the paperback today and get the Kindle edition for FREE! Not a single animal will be hurt when you prepare and consume recipes found in this cookbook! A cake is literally "round bread" - a sweet dessert cake, consisting, as a rule, of several baked cakes and cream as a layer and decoration. Classics of the domestic confectionery industry - cakes "Napoleon", "Bird Milk", "Kiev" and others - if you want you can repeat at home, you just must be patient and follow the recipe exactly.